Cold sore is a nuisance, especially when it leads to lip blisters. Not only these are unsightly but immensely painful as well. However, there are some fantastic remedies that will successfully allow you to keep the cold sore effects on the lips at bay. Below is a brief on such top 4 remedies. Milk compress has always been relieving when it comes to lip blisters from cold sore. It speeds up your healing and would also lessen the pain factor by a great extent. It’s because milk carries proteins called immunoglobulins that are beneficial anti-bodies- which work to fight-off and prevent the herpes responsible for cold sore. 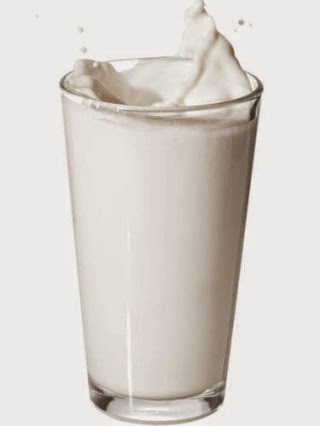 Milk also contains L-lysine that prevents wicked arginine amino acid from causing outbreaks. Thus, a glass of whole milk would help to prevent the lip blisters from cold sore. In case you are already down with the lip blister, follow the process below for your milk compress. You would need half/1 cup whole milk, cotton pads or balls, 1-3 tablespoons. Soak the cotton ball into 1 tbsp. of milk and apply the soaked part tight on to the blisters for a while. You can either apply the milk cold or bring it down to the room temperature. Post the compress, moisten up a soft clean towel with water and dab off milky residue. Finally, dab on little petroleum jelly to complete the process. 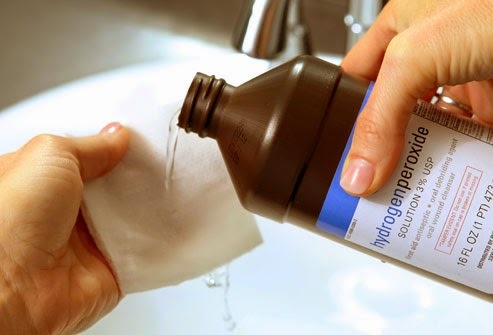 Hydrogen peroxide solution disinfects the sore, speeds up the healing process and makes it tough for the sore to worsen or spread. 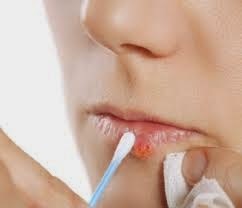 The lip blister is anyhow infected and bothered and you have to keep it clean always for a fast disappearance. Hydrogen peroxide 1 tbsp., facial tissue or cotton pads/balls. Soak the cotton ball into the hydrogen peroxide solution. You can use more of the solution in case the ball isn’t saturated enough. Now, place the ball right on the sore. Yes, it might sting but make sure to hold the ball right on spot for 3-4 seconds. After you remove the ball, keep the area like that for say 5 minutes. Then rinse off your lip properly. Peppermint oil carries properties which directly kill off the virus particles such as the one leading to the lip eruption. Don’t just ingest the oil as it won’t be able to work on the sore surface. Rather, it’s advised that you apply the oil directly on the cold sore to fight it off from the surface. 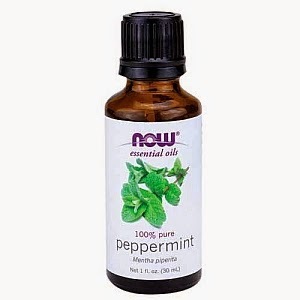 In fact, studies have found that peppermint oil applied over cold sore, speeds up the healing process to a great extent. Use fresh water for a good rinse of the sore surface. This will remove surface gunk which makes it tougher for peppermint oil to sink in and start its work on your blister. Now, sip the swab in water and then dip into the oil. Apply this on your sore daily. Lipivir is a clinically approved medically advanced lip gel that helps to prevent lip blisters from cold sore. Thanks for the tips and for original recommendations !